Newbe to Buells in Somerset. Post subject: Newbe to Buells in Somerset. Hi guys, thanks for letting me join your group. Here's my first Buell (a 2003 XB9 lightning) that I picked up last weekend. Loving it so far, I've only been riding for 3 years & this is my 7th bike, hoping this is the one! Post subject: Re: Newbe to Buells in Somerset. 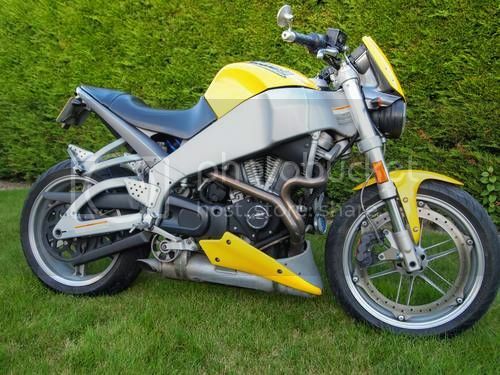 Hi, welcome aboard, 7 bikes in 3 years - wow, I bet that buying habit will soon stop (unless its another Buell) once your used to the Bell, there is nothing quite like it. Hi, welcome from a fellow Somerset Bueller. I'm looking forward to getting to know it. I think I've broken all the rules asking dodgy questions in the tech. area already. The belt was changed a few thousand miles ago, I don't know if it is the updated one? I've been looking at the free spirits but have seen reports of failures, still contemplating! Mr Wobbly speaks the truth. Whereabouts in Somerset are you?